Things are looking up for Abby Lee Miller. 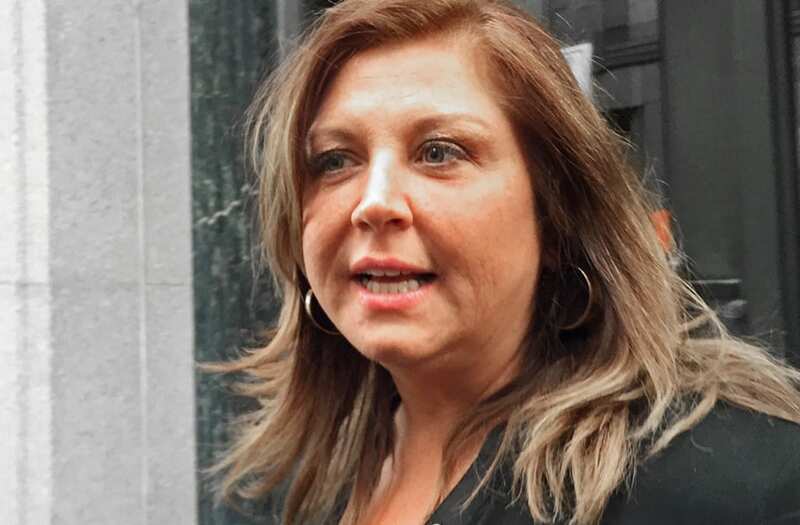 A source close to the former Dance Moms star tells ET that she will be released from the Federal Correctional Complex in Victorville, California, on Feb. 20. Miller was originally sentenced to one year and one day in federal prison last July after pleading guilty to bankruptcy fraud in June 2016. Upon release, Miller will report directly to a halfway house in Van Nuys, California, the source says, due to the terms of her sentence. How long she is required to stay there is unknown at this time. According to our source, fans can expect a much different look from the 51-year-old reality star, as she's lost approximately 100 pounds and is feeling "great" since entering the penitentiary six months ago. She has already requested multiple surgeries for when she's released, including a tummy tuck, breast lift and excess skin removal. "I think this is the right time," Miller exclusively shared with ET at the time. "People are saying, 'But your sentencing is coming up in a couple weeks!' And that is true, and I'm really nervous about that -- more than the surgery -- but there's no right time." As ET previously reported, Miller was found guilty of bankruptcy fraud in Pittsburgh, Pennsylvania. In addition to serving time, Chief Judge Joy Flowers Conti ordered the reality star to pay a $40,000 fine and serve two years probation after her time behind bars. A few weeks before she headed to jail, Miller told ET that serving time would actually be an opportunity for her to concentrate solely on herself. "I've always put everybody else's child first before my own health, before my own outfit, before my own time frame," she explained. "Everybody else was dressed and out the door and looking perfect and I was running around trying to find a clean towel to take a shower with, so I think this will be a little 'me' time."